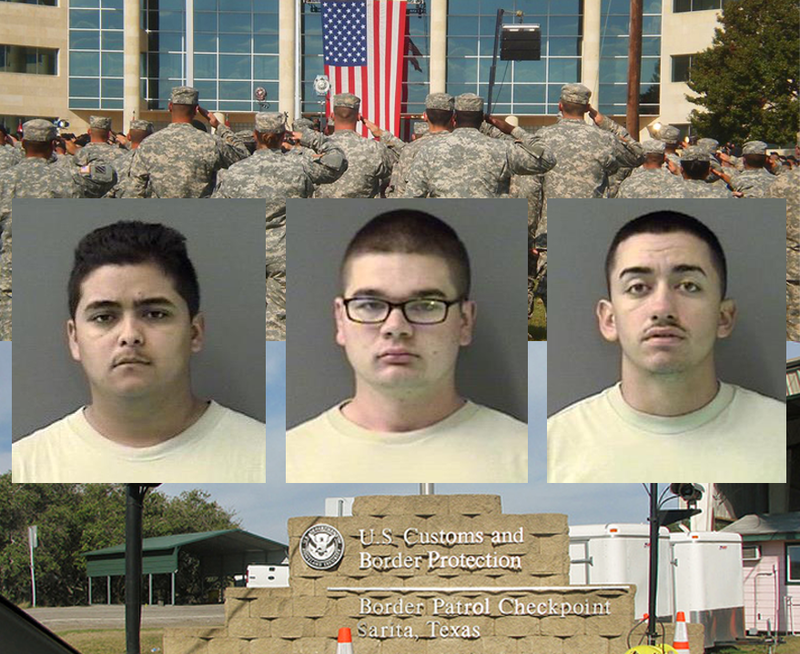 On October 9, 2014, the seven-count indictment was unsealed against three Fort Hood soldiers for smuggling, transporting and harboring illegal aliens. It charges active-duty U.S. Army soldiers Eric Alexander Rodriguez, 20, Brandon Troy Robbins, 20, and Christopher David Wix, 21. The indictment was unsealed upon the arrests of Rodriguez, Robbins and Wix at Fort Hood in Texas. All three soldiers are privates, serving in the 1st Cavalry Division’s 215th Brigade Support Battalion. Eric Alexander Rodriguez is an ammunition specialist, Christopher David Wix is an automated logistical specialist and Brandon Troy Robbins is a vehicle transport operator. They are facing criminal charges for one count of conspiracy to transport and harbor aliens, and six counts of transporting aliens. The indictment also includes charges for two prior incidents. Brandon Robbins is charged with transporting two aliens on April 13 and Christopher Wix is charged with transporting two aliens on June 21. Also named in the indictment is Arnoldo Gracia, 45, an alleged alien smuggler with whom the soldiers have conspired. He is charged with aiding and abetting the three Fort Hood soldiers in commission of the crimes. If convicted, the Defendants are facing up to 10 years in federal prison and a possible $250,000 fine. Shockingly, these are not the first service members involved in alien smuggling. In 2013, Carlos Vives Feliciano, an active member of the U.S. Army has been linked to a “transnational criminal organization”involved in smuggling immigrants into the United States. Several members of the National Guard were also arrested on charges of transporting illegal immigrants. FBI’s National Gang Threat Assessment states that infiltration of the military continues to pose a significant criminal threat. Gangs encourage members, associates, and relatives to obtain law enforcement, military, judiciary, or legal employment to gather information on rival gangs and law enforcement operations. US-based gangs are deeply engrossed in illicit cross-border activities. Members of at least 53 gangs have been identified in both domestic and international military installations.